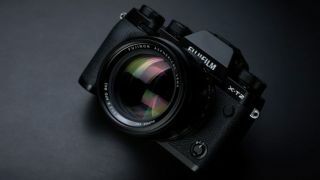 Fujifilm has been forced to pull a major firmware update for its X-T2 mirrorless camera after users reported several major issues, including the camera 'hanging', or freezing, in some circumstances. The v4.0 update was released several days ago, but Fujifilm has now removed it from its website, apologized to users and promised an urgent fix. One of the most serious issues is that raw files shot before the update, when the camera was using the ‘old’ v3.0 firmware, won’t be converted properly either in-camera or with Fujifilm’s own X Raw Studio software. Other issues are live view flicker when half-pressing the shutter release in some circumstances and the camera hanging completely in certain “rare” circumstances. Fujifilm has gained great respect from owners through its policy of bringing substantial feature upgrades to older cameras via firmware updates, rather than just releasing a new camera. So the v4.0 firmware update for the Fujifilm X-T2, announced May 8 2018, looked like a nice bonus for X-T2 owners. Before the launch of its flagship X-H1 pro X-series camera, the X-T2 was Fujifilm’s top APS-C format mirrorless camera. The v4.0 update brought improvements to the video features, including the ability to record Full HD at 120fps and internal F-log while saving to a memory cards, and a wide dynamic range video mode that offers more color grading flexibility later, which was previously available only when using an external recorder. For stills photographers, the v4.0 update brought a focus bracketing mode for stacking photos to achieve greater depth of field – very useful in macro photography – improved autofocus sensitivity and Flicker Reduction for shooting under fluorescent lighting. These and other improvements brought the X-T2 closer to the performance of the new X-H1 – or at least that’s how it looked, but now Fujifilm has been forced to admit to the embarrassing bugs. This is to give the company more time to fix the bugs. It’s also postponed its plans to release firmware updates for its GFX 50S, X-H1 and X-Pro2, models, which were originally planned for May 2018, so that these can be thoroughly checked. If you do have an X-T2 and you’ve installed the v4.0 firmware update, you should immediately download and install the v4.01 ‘fix’. If you’re still using the older v3.0 firmware, the best course of action is to stick with it and wait to see what happens. This is an embarrassing slip-up from Fujifilm, and a reminder that digital cameras are not just bits of glass and circuit boards but contain complex coding instructions programmed into their processors. It’s like updating the operating system on a computer, and Fujifilm still deserves credit for attempting these major free upgrades on its existing cameras, even if this time things went a bit wrong.